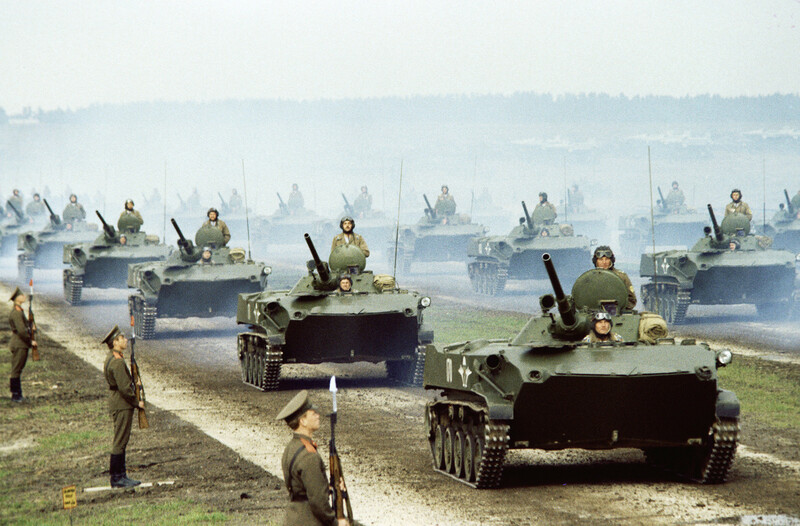 One of the largest and most powerful armies in the world, the Soviet Army never hesitated to demonstrate what it was capable of. Some of its drills still impress and amaze with their scope and scale. The drills of the Kiev Military District, or Large Kiev Maneuvers, were held on Sept. 12-17, 1935 in the central part of the Ukrainian Soviet Republic. These were the largest drills of the Red Army (as the Soviet Army was called until 1946) before the Great Patriotic War broke out in 1941. 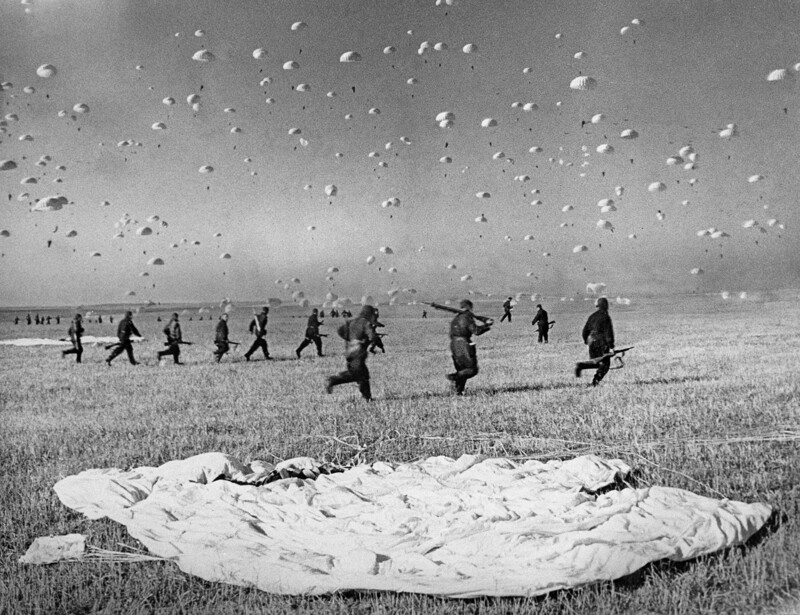 Over 60,000 servicemen, 1040 tanks and armored cars, and 470 military jets took part in it. 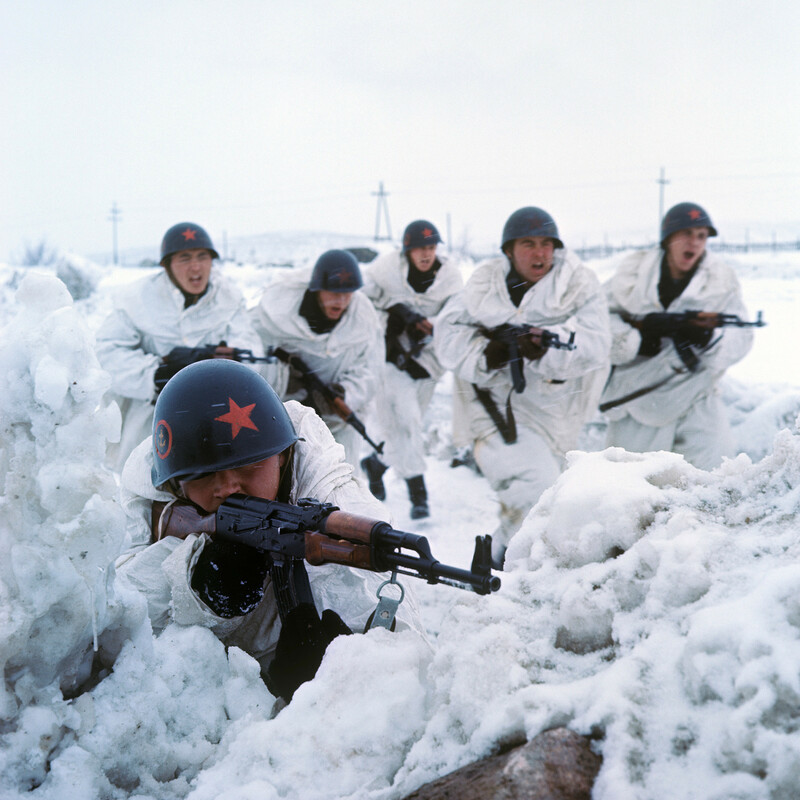 The main mission of the drills was to test the ability of the Red Army to defeat an enemy with one major strike using the combined forces of aviation, tanks, cavalry, and infantry. Rapidly crushing the enemy’s front lines and reaching its rear, the Red Army would thus avoid the danger of getting bogged down in exhausting WWI-type trench warfare. What’s more, the first mass landing in the Soviet Union took place during the drills, when 1188 servicemen were landed with the task of capturing an airport. On Sept. 14, 1954, the Soviet Army held drills codenamed “Snowball” with the first use of nuclear weapons and the participation of troops at the Totsky range in the southern part of the country. The idea was to test how Soviet troops could attack an enemy that had suffered a nuclear strike. The explosion of the RDS-2 nuclear bomb was followed by massive artillery fire and aviation attacks. After that, the troops marched through the strike zone. Over 45,000 troops, 600 tanks and self-propelled guns, 600 APCs and 320 military jets were involved in the drills. Some units crossed the strike area just 600 meters from the explosion’s epicenter, and aircraft even flew through the atomic mushroom. After the Soviet fall, it became known that the drills were extremely harmful for the participants and local population, among whom cancer rates rose significantly. The largest naval drills in Soviet history, Ocean-70 was dedicated to the 100th anniversary of Vladimir Lenin’s birth. All four Soviet Fleets — the Baltic, Pacific, Black Sea, and Northern — took part in the drills that were held on April 14-May 5, 1970. 80 submarines (including 15 nuclear-powered ones), 84 surface warships and 45 assistant vessels conducted maneuvers in the Atlantic and Pacific Oceans. Two Marine regiments, 20 Naval Aviation regiments, eight Long-range Aviation regiments and Anti-Aircraft units were also involved. 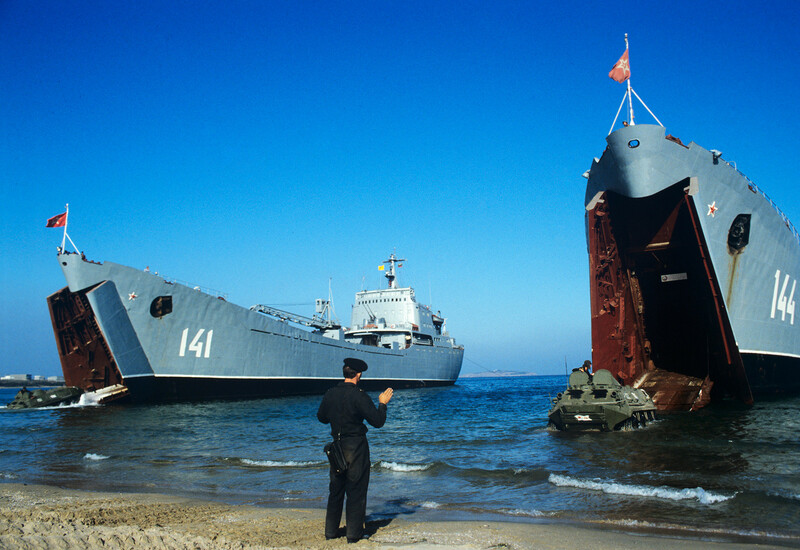 The drills were intended to demonstrate to NATO the power of the Soviet Navy, and they achieved that aim. The U.S. Admirals were sure the Soviet Navy was no match for their naval forces, and were shocked to see how the young Soviet fleet (all ships were no older than 20 years) demonstrated effective coordination and concerted actions. Especially impressive was the “destruction” of an Aircraft Carrier Strike group during a fierce storm on April 23-25 in the Atlantic. Military expert George W. Baer wrote in his One Hundred Years of Sea Power: The U.S. Navy, 1890-1990 that Ocean-70 was “eye-opening” for the U.S. Navy. Unfortunately, it wasn’t without tragedy. On April 12, a K-8 nuclear-powered submarine sank due to a fire while heading towards drills’ location in the Atlantic Ocean. 52 crewmen died, but 52 other sailors were saved. One of the largest and most impressive drills in world history, Zapad-81 (West-81) involved over 100,000 service personnel. They were held on Sept. 4-12, 1981, and took place not only in the Soviet Union, but also in several Warsaw Pact ally countries. The drills were conducted without the deployment of nuclear weapons. 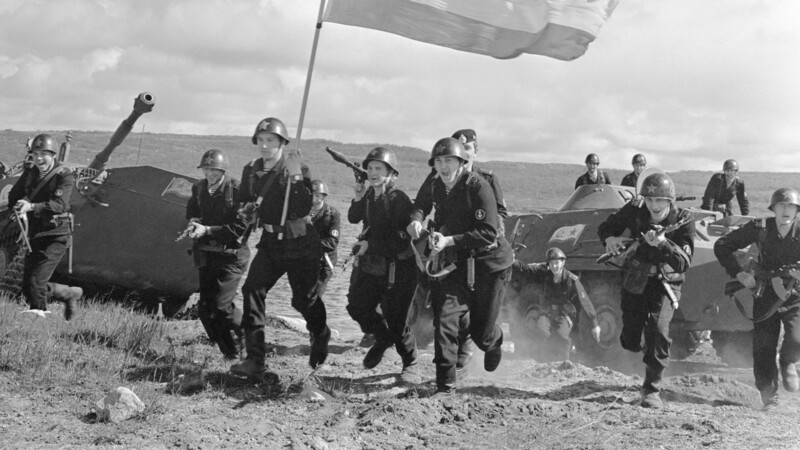 Instead, the Soviet Army, heavily supported by Air Force and Airborne Troop mass landings behind enemy lines, breached the enemy defense with one powerful conventional strike. The aim after 3-4 days of warfare was for the main enemy’s resistance to be completely broken. The drills were intended to demonstrate to NATO that even without use of nuclear weapons the Soviet Army was able defeat any opponent. Besides, the modern army control systems and newest types of precision-guided munition were tested during West-81. Some aspects of the drills remain top-secret even today. 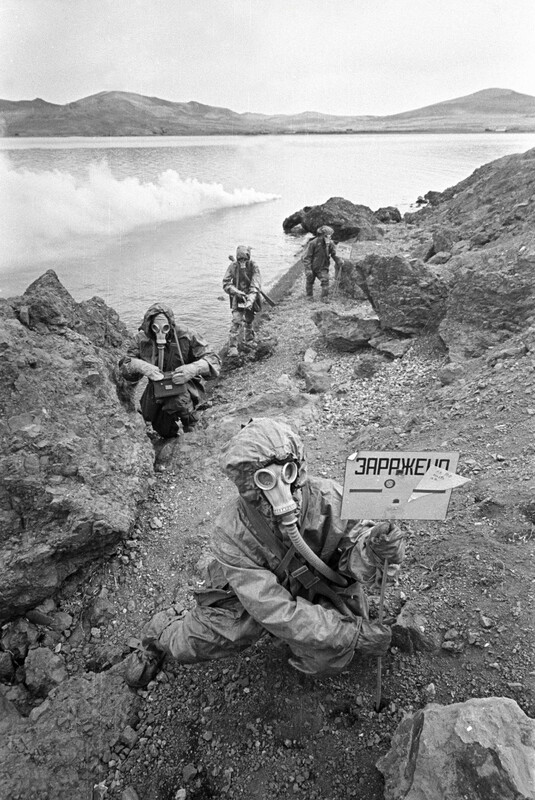 Unlike West-81, whose scenario didn’t consider the use of nuclear weapons, the Shield-82 drills were held in conditions of simulated nuclear war. At the first stage of the drills the Soviet Union imitated a preventive nuclear strike. On June 18, 1982, the Soviet Strategic Missile Forces made training launches of ballistic and cruise missiles from submarines, missile launch facilities, military ranges, warships and strategic bombers. These launches took place in just seven hours, earning them the name “Seven-hour Nuclear War” in the Western media. The nuclear strike phase was followed by field drills by the Soviet Union and its Warsaw Pact allies, which were held in Bulgaria and finished on Sept. 30, 1982. The Soviet Union’s West-1981 was impressive, but what about the modern West-2017? Find out what Russia demonstrated during these drills. Which new weapons has Putin given Russia?